Soon after director Scott Derrickson wrapped filming Marvel’s next blockbuster, Doctor Strange, in New York City, fans were gifted with the first teaser trailer for the film. Appearing as the feature guest on Jimmy Kimmel Live, Benedict Cumberbatch – who plays the title character – premiered the first footage for the fans to enjoy. While lacking much in terms of action, the trailer did showcase the reality warping, Inception-like visual effects that Derrickson and Kevin Feige had said would appear. The trailer’s gathered a lot of positive attention and it’s even caught the eye of Marvel mainstay and the God of Mischief himself, Tom Hiddleston. According to the New York Daily News, Tom Hiddleston watched the trailer and was incredibly impressed with what he saw. So impressed, in fact, that he’s already dreaming about appearing in a future sequel as Loki in order to go toe to toe with the Sorcerer Supreme. In some hypothetical world, I don’t quite know when, for Loki and Doctor Strange to share the same frame would be very exciting indeed. Because Benedict Cumberbatch is an old friend. So I would think it would be interesting to see who would get the upper hand. Loki being the villain in a Doctor Strange film seems like an odd choice, but it actually does make quite a lot of sense. Doctor Strange is the master of the mystical arts, and his villains are usually supernatural demons or fellow magicians. 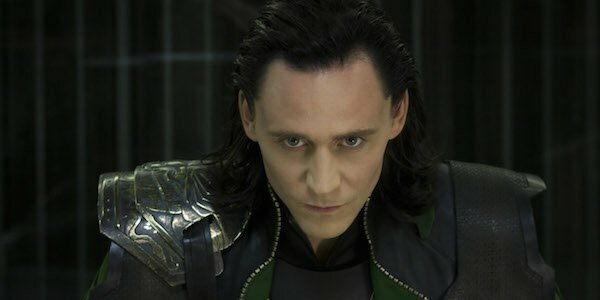 In the comics, Loki is an extremely powerful sorcerer who uses his skills to manipulate pawns against his brother Thor. While Loki’s magical abilities aren’t very defined in the MCU beyond his illusions (which are never explained), it would still be great to see the two personalities interact with each other. The characters have butted heads a few times in the comics, but nothing that could really be the basis for an entire movie. One Marvel big bad that Doctor Strange usually does have to contend with is Doctor Doom, arch nemesis of the Fantastic Four. Doctor Doom’s prowess with dark magic actually rivals that of Strange, and he’s tried to steal the title as the strongest sorcerer on earth. It’s not far fetched for Marvel to replace Doom’s character – who they don’t have the rights to – with Loki, who could have similar ambition. While no one would object to more Loki, this happening would depend on how many more movies Tom Hiddleston is contracted to play. Loki will next be appearing for the fourth time in Thor: Ragnarok alongside Chris Hemsworth, Cate Blanchett and most recently Tessa Thompson. It’s also been rumored that he might appear in the epic two-part Avenger: Infinity War films, but whether he will be in both parts or just one is up for debate. He might not have room to be in a Doctor Strange sequel, but it wouldn’t be the first time Marvel has renegotiated contracts with its actors. Doctor Strange stars Benedict Cumberbatch, Rachel McAdams, Chiwetel Ejiofor, and Tilda Swinton. It hits theaters on November 4.